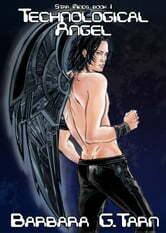 When Kol-ian is rejected by his beloved "angel", he finds refuge on low-tech Earth. Until he feels the need to get back into the galaxy loop to explore the rogues' world. Cyborgs, shape-shifters, merciless telepaths and two earthlings lost in the Milky Way, learning to deal with aliens long before the rest of the blue planet. Assassin’s Creed: Brotherhood – Ultimate Guide.